1. 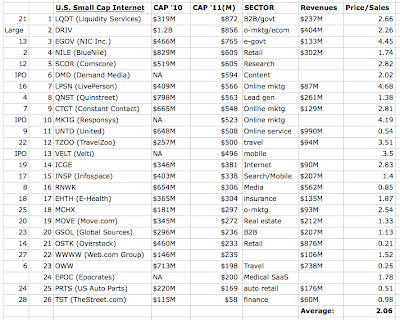 Price to Sales ratios: 4.38 for large caps and 2.06 for small caps. 2. 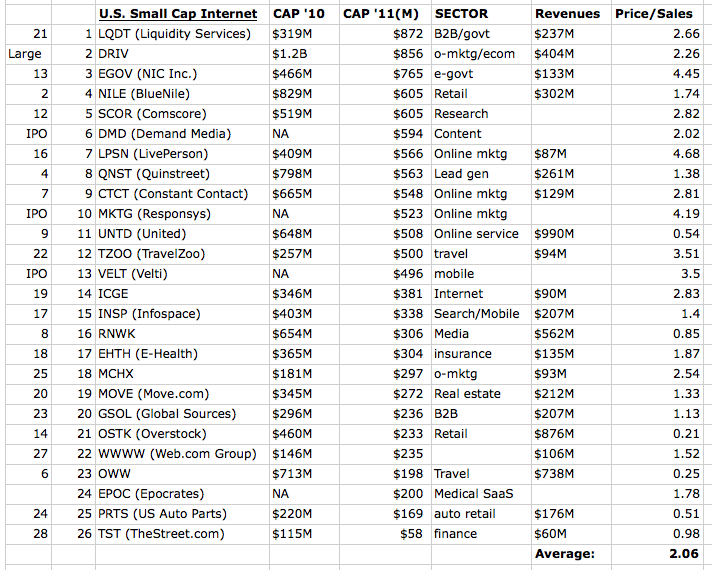 Two government-focused companies skyrocketed up the Small Cap list: Liquidity Services (LQDT) and NIC Inc. (EGOV). 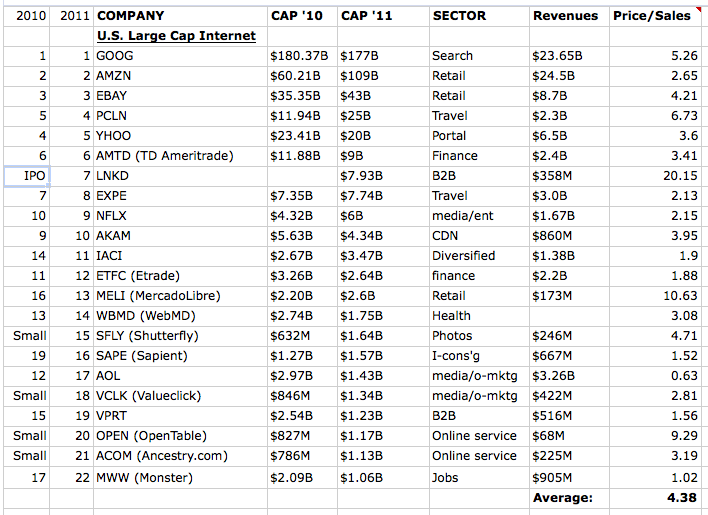 It should be no surprise that as government becomes a bigger a bigger component of GDP, Internet companies focused on government should do well. 4. 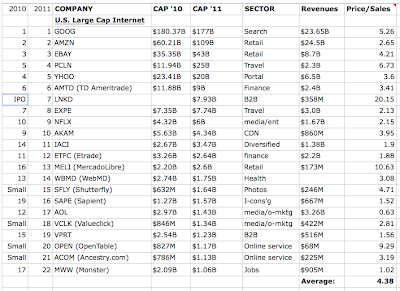 All the Internet market cap growth has occurred in the private markets rather than public. With the exception of LinkedIn, the massive growth Internet duo of Facebook & Zynga have done their thing offline.